Recent TV credits include CLOSE TO THE ENEMY, THE FIVE, THE JAVONE PRINCE SHOW, CORONATION STREET, DOCTORS, BIRDS OF A FEATHER, PHONESHOP and CALL THE MIDWIFE. Debra appears in the film NIGHT BUS which was selected for the BFI London Film Festival. 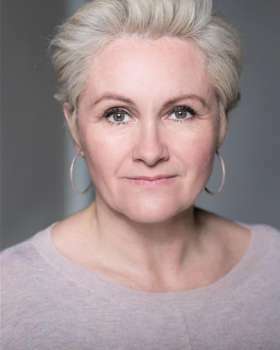 Debra could recently be seen starring in BIG GUNS (Yard Theatre) and RADIANT VERMIN which transferred to New York as part of the 'Brits Off Broadway' season. Prior to this she won THE BBC NORMAN BEATON FELLOWSHIP, winning a 5 month contract with the BBC Radio Drama Company.